Its major export partners are Turkey, Kazakhstan, and Switzerland. Its main exports are aluminum, electricity, cotton, fruits, vegetable oil, and textiles. Its major import partners are China, Russia, and Kazakhstan. Its major imports include petroleum products, aluminum oxide, and machinery. Located in Central Asia, Tajikistan has a 4,130.00 km border with Afghanistan (1,357 km), China (477 km), Kyrgyzstan (984 km) and Uzbekistan (1,312 km). Talks currently continue between Tajikistan and Uzbekistan to delimit the border and remove active minefields. Dushanbe has been the capital city of Tajikistan since 1924 when it was made the capital of the Tajik Soviet Republic. The city is situated on the Varzob and Kofarnihon rivers and is located in the western part of the country. The city was renamed Stanlinabad in 1929 and later returned to the earlier name of Dushanbe in 1961. The population of Dushanbe is approximately 803,000 people which is almost 10 percent of the entire population of the country. The population of the city is made up of native Tajiks (83%), Uzbeks (9%), and Russians (5%) and a small percentage of various minority groups. The climate of Dushanbe is classed as a Mediterranean climate with strong influences from the surrounding continent; the surrounding mountains somewhat protect the city from the cold Siberian winds. Archaeological evidence found in the area suggests that Dushanbe was no more than a small village before the early part of the 1900s, but today, the city is a reasonably well-developed commercial centre for the country. 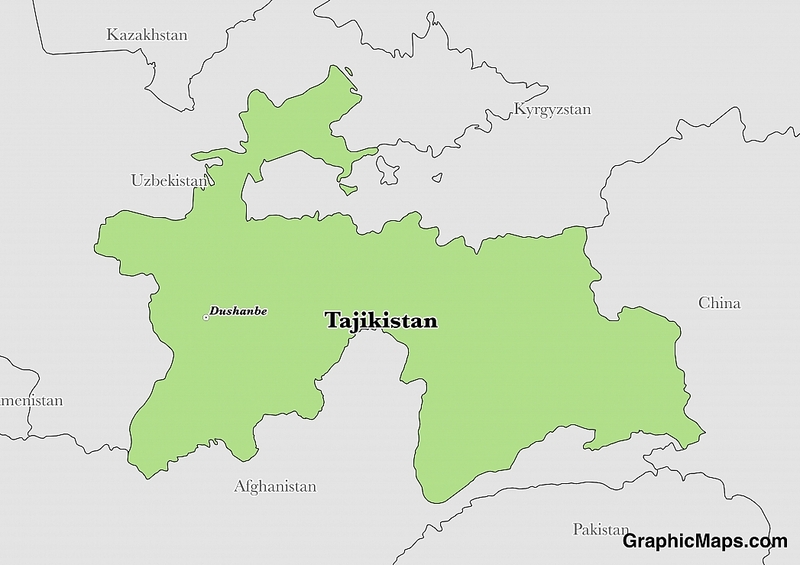 Tajikistan is an Asian country covering 144,100.00 km2 of which 1.80% is water and 141,510.00 km2 is land. This makes it the 94th largest country in the world and slightly smaller than Wisconsin. Its geographic coordinates are 39 00 N, 71 00 E and Dushanbe is the capital city. The name literally translates into "land of the Tajik people". Its ISO code is TJ. Tajikistan has a mean elevation of 3,186 m above sea level. It has a varied climate from tropical near the coast to temperate in the highlands. The terrain is mostly mountainous. Tajikistan has a population of 8,330,946 making it the 95th largest in the world. The majority of the population can be found at lower elevations. Tajik is the official language, while Taiwanese is also commonly used. The major ethnic group is Tajik, followed by Uzbek. The majority of the population is Sunni Muslim. 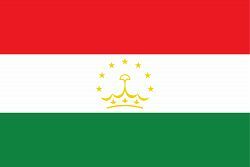 The official language of Tajikistan is Tajik which is the most widely spoken language in the country. All official communications within the nation must take place in Tajik. The language is also known as Tajiki Persian due to the dialect being a regional variation of Persian. The Tajik language evolved with a distinctly Russian influence and can be seen in the Tajik alphabet which is written very similarly to Russian. The Russian language is the second-most spoken language in the country, and the Constitution of Tajikistan states that Russian is an acceptable language for law-making as well as inter-ethnic communication. There are just over 8.7 million people currently living in Tajikistan, and the overwhelming majority speak Tajik. 99.5 percent of the population can read and write the Tajik language. The dialing code for the country is 992. Tajikistan is an independent country. It gained independence with the dissolution of the Soviet Union in 1991. Its constitution was last ratified in 1994. The political system of Tajikistan operates within the framework of a presidential republic after a constitutional amendment in 2003 there is now a limit of two consecutive terms for any President. The President of Tajikistan is the head of state as well as the head of government, appointing the Prime Minister of the country without the need for approval. Presidential elections take place every five years, and parliamentary elections take place every five years. The house of parliament in Tajikistan is located in the capital city of Dushanbe and contains 96 members, 33 in the National Assembly and 63 in the Assembly of Representatives. Factoring in Purchasing Power Parity, Tajikistan's GDP is $25,810,000,000.00 (USD) with $3,000.00 (USD) per capita. This makes it the 138th largest economy and its citizens the 185th richest in the world. The currency of Tajikistan is the Somoni (TJS). Its major export partners are Turkey, Kazakhstan, and Switzerland. Its main exports are aluminum, electricity, cotton, fruits, vegetable oil, and textiles. Its major import partners are China, Russia, and Kazakhstan. Its major imports include petroleum products, aluminum oxide, and machinery. The flag of Tajikistan is composed of three horizontal bands of red, white, and green with a 2:3:2 ratio, there is also a yellow crown in the center of the white band which has seven five-pointed stars arching over the top. The Pan-Iranian colour scheme within the flag of Tajikistan can also be seen in the flags of Afghanistan and Iran, as well as the autonomous region of Kurdistan. Previous versions of the flag include the flag of the Tajik Soviet Republic which was in use from 1953 until 1991. This former flag was designed by the Union of The Tajik Soviet Republic who administered the country on behalf of the Soviet Union.